It’s nearing the end of the year with only two months left which means it’s the start of the shopping season. Starting from Thanksgiving, there are a bunch of seasonal sales that go on that extend well into the New Year. The next big shopping days are arguably the biggest savings of the year, which happen on November 24th and 27th and for some stores it lasts for a week. 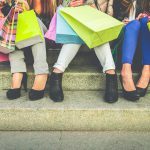 As we wait and countdown to Black Friday/Cyber Monday (BF/CM), here are tips on how you should prepare for the big shopping days. 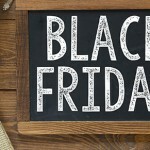 There are a bunch of sites that watch black Friday sales from major retail stores and have managed to get a hold of some leaked deals that are expected to come out this Black Friday/Cyber Monday. 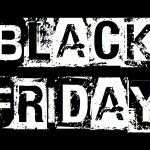 BestBlackFriday.com is one example that offers a collection of data mined ad scans to reveal what major stores will reveal for their planned sales for Black Friday/Cyber Monday. The site has already got its hands on deals from Kohl’s, Toys-R-Us, Target, and more. Amazon has become the standard for expecting good deals on pretty much everything. Most people expect heavy discounts on electronics and appliances. It’s hard to say what exactly will be on sale this year but there is a good chance that it will promote its own huge selection of products like Kindles, Echo, toys, and other home related products. Prime gives you access to free one, two day shipping and prime deals. During Black Friday/Cyber Monday Amazon conveniently places all of the latest and best deals on their BF/CM page. 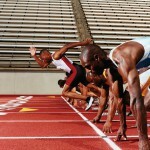 Prime also offers lightning deals which gives customers a limited window of time and quantity to buy certain products. Lightning deals happen all year round but during BF/CM prime members are offered early access. 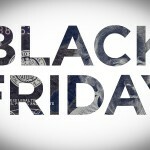 Amazon would be the best place to browse for products during the countdown to Black Friday/Cyber Monday. Even though the countdown to Black Friday/Cyber Monday is almost a month out, stores are already starting to put on sales. Some stores will put on month-long BF/CM sales that eventually lead up to one massive sale day. The best way to actually take advantage of BF/CM sales is to check if the product you are interested is offered either online or in-store exclusively. Calling a location could help reconfirm if you are able to possibly even purchase it online and pick it up in-store. Just because it is BF/CM, it doesn’t mean that everything is truly on a great deal. It’s a good idea to check the price of whatever you are eyeing. There is no guarantee that what you want will go on sale but its good to check. This lets you see how much of a sale will be on. So watch out for anything that has large percentages off, it could be that there isn’t much of a discount really being offered. These steps will help you make smarter decisions and help get what you want at a great price. Remember to use Reship to get all of your packages dropped off right at your door for less.